I don’t even know why Apple bothered with the iPhone 6, because it will go the way of the iPhone 5c: a niche product; a consolation prize; the budget choice for Apple loyalists; something you get begrudgingly and regret later. One estimate is that the iPhone 5S sold 3x better than the 5c. I expect a similar breakdown between the iPhone 6 and the 6 Plus. OK, so the iPhone 6 is not dead on arrival, but it will be the ugly step-sister to Cinderella. Except for personal preference over size and price, the iPhone 6 Plus is categorically the superior phone. Guess what a 720P Android phone would be called in today’s market? Mid-range, like the Moto G, priced $180 off-contract. Last year’s Moto X was widely heralded but its 720P display was a major handicap when flagship competitors had 1080P. Do people care if the benefits are incremental? The market has spoken and flagship phones should have at least 1080P. Motorola learned their lesson with the new Moto X, which has a full HD screen. Apple was largely immune to this spec race because if you wanted an iPhone, there was only one choice for display resolution. So consumers never thought about it. They chose 5S or 5c, color and then storage size. Now that decision is brought top-of-mind. Do you want a mid-range or flagship-level resolution? 1 million pixels, or 2 million pixels? Is there any doubt that, compared side-by-side, the iPhone 6 Plus display will outclass its lower resolution sibling? One of the best reasons to get an iPhone is the camera, which is consistently the best all-rounded smartphone camera on the market. 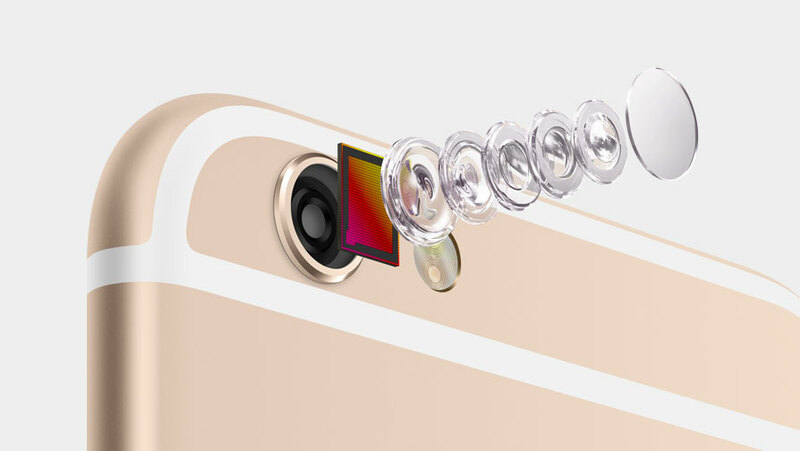 The iPhone 6 Plus will have an absolutely better camera than the iPhone 6 with optical image stabilization. In case you don’t know what that is, it’s a hardware feature that minimizes camera shakes so photos are less likely to blur and videos are less jerky. 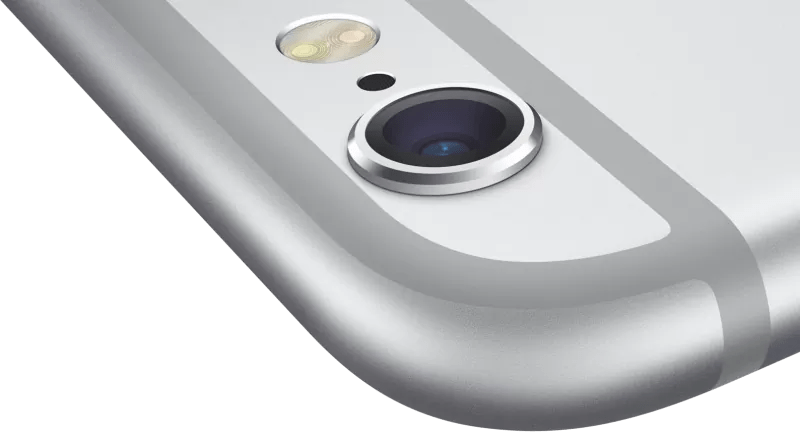 The new iPhones sport a thinner chassis; so thin the camera lens now protrude from the body. Steve Jobs might have just rolled in his grave. Apple should have made the phone slightly thicker to get better battery life and a flush surface. Apple claims the iPhone 6 will have similar, maybe slightly better battery life than the iPhone 5S, which means it won’t be great. The iPhone 6 Plus will have better battery life than the 6, which could mean it’s good enough. 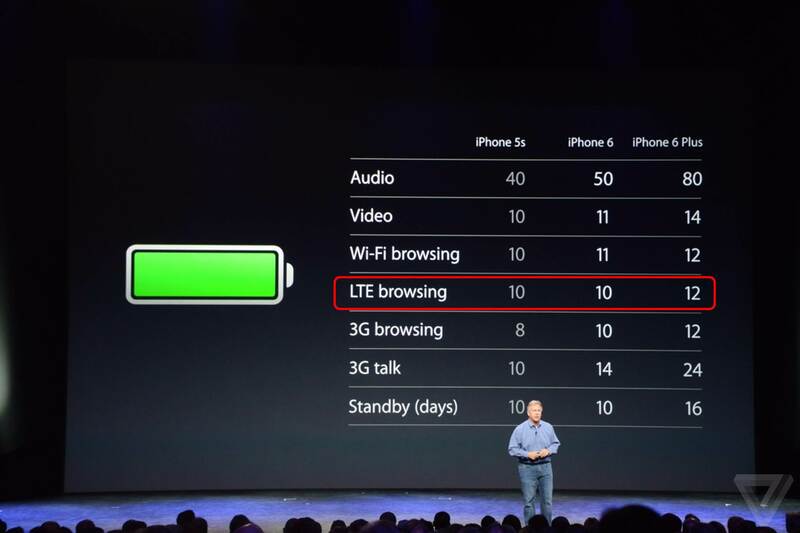 Apple threw up a lot of numbers above and for good reason, and that’s because the metric that actually matters is LTE browsing. That’s how you’ll be using your phone most of the time, especially when you’re out on weekends and where battery life is most precious. For that, pitifully, the iPhone 6 is the same as the iPhone 5s. At least the iPhone 6 Plus is 20% better. Only the iPhone 6 Plus will have an interface that takes advantage of a bigger screen. The interface for messages on the iPhone 6, for example, continues to be a boring list, whereas it will feature attractive avatars on the 6 Plus. In landscape mode, the iPhone 6 will look just like the iPhone 5S, just expanded; whereas on the iPhone 6 Plus, landscape mode could reveal a two-column layout that is more functional. Again, the iPhone 6 Plus gets special treatment. With the 4.7-inch iPhone 6, you might still need the iPad mini. With the 5.5-inch iPhone 6 Plus, you may realize as The Verge did that there’s no need for an iPad mini. That large size is pretty key; this is the phone that’s going to force Apple to turn the iPad into a true laptop competitor. I have an iPad mini that will never come out again once I get this phone; I have an iPad Air that will need a better reason to come out than simply the size of its screen. If you buy the iPhone 6 Plus, you could save money by not buying or upgrading your mini tablet. I’ve been preaching this for some time now, but with phablets on the rise, mini tablets are destined to become a niche product. Let’s face it. A big part of the attraction for getting iPhone is brand. For those who don’t care as much about what a phone’s brand says about a person, they are already on Android, where large, 1080P screens have been a staple for years. If you’re going to spend the money, are you really going to settle for the second best iPhone? Instead of paying flagship money for a 750P phone with below average battery life, wouldn’t you prefer a 1080P phone with better battery life? Whether that’s the latest Android phone or the iPhone 6 Plus? I think most people who choose Apple do so because they want what’s considered the best, and the best within the iPhone family is clearly the 6 Plus. You can’t really show off with a second tier iPhone. The only reason to choose the iPhone 6 over its superior sibling is price, and the perception that 5.5-inches is too large. It’s just a perception though. Once you use a phablet for some time, it’s just fine. It fits into my jeans pockets with no issues whatsoever. Now that I look back on my old iPhone 5S, I find it comically small. If you’re deciding between the two iPhones, if you can afford it, I urge you to pick the superior version. I ordered a 128GB Silver iPhone 6. I already have iPads and a MacBook Pro. They don’t fit in the pockets of my jeans. I can live without avatars next to names in Messages – while your reasoning might apply to a lot of people, it doesn’t to me and plenty of others. Not to mention the iPhone 6 will be much faster and aupported for longer than the 6+: as you point out, the latter has about twice as many pixels and the exact same CPU/GPU strength. That didn’t play into my decision, but it will be interesting to see if that causes the 6 to perform much better and hold its value much longer than the 6+. When it came down to size versus speed and portability before, I chose the iPhone and the latter over Android and the former. Today the 6 is the smaller, fsster, more portable choice. Reasonable points, but I promise you the 6+ can handle 1080P just fine, just as Android has been doing the last two years. Or Apple has a big problems on their hands. The truth is 750P is a mid range resolution. It’s like a body builder curling 5 pounds of iron — she can lift far more weight with no penalty at all. So it is with Apple’s A8 chip and 750P. The iPhone 5s sold 3x more than the 5c because the latter was the previous gen phone in a plastic casing. The iPhone 6 is equal to the iPhone 6+ sans the OIS. Do you really care about the 70 ppi difference? I don’t. And clearly, the 6+ is **too** big in my opinion. I’d love to love the 6+, really. But I think that its size is not really convenient. The only thing that pushes me towards the bigger model is the better battery life, as I’m an avid user. But I wont sacrifice portability for two extra hours. I would even buy a 4″ iPhone if Apple packed it with the same features as the 6/6+ (A8, same thin design, new camera, etc). I even think that the 6 will sell better than the 6+, and not for its price, but for its convenience. You are clearly missing the point that both devices are flagship phones. The differences are minimal, and that’s how it should be. You are taking a too technological analysis to make this article. You can’t tell apart a 326ppi screen or a 401ppi screen. Trust me, I have 20/20 vision. People will go to the Apple store and will have to decide between two screen sizes. Thats it. Its just like with the iPad lineup. There isn’t a superior model. Both were created equal (with the analysis in this article you could even say that the iPad Air is the second best iPad because the Mini has a higher ppi). I’ll be buying the 64GB Space Gray iPhone 6 and I couldn’t be happier with my choice, and I’d chose it over the 6+ even if the prices were the same. Thanks for the comment! Everyone has their own preferences. It took a couple of weeks living with a 5.5-inch phone to conclude that — personally — there’s no sacrifice in portability at that size. Also, I brought up the example of the Moto X to illustrate that for many, a 720P screen is simply not flagship quality. It’s fine if you disagree but my guess is you’re in the minority. Jeff – love the blog – but you’ve got this one wrong. Outside of a small constituency of tech lovers, a lot of folks are going to find the plus too big. Pockets and hands aren’t going to grow any time soon. 5C was just a cheap and cheerful version on a 5S, which was never going to catch on in markets where carrier subsidies are the dominant model, and most phone are free or almost free anyway. But the plus presents real tradeoffs for users. It’s not for everyone. The 6 will sell well. Hi Ben, thanks for reading! I probably underestimated the average Apple loyalist — a 4.7-inch jump must already seem quite big when used to 4, so most will just default to the iPhone 6. But as someone who’s been through it all, from 3.5 to 4 to 4.5 to 5.0 and now 5.5, the advantages of a bigger size are clearly worth the trade-off. However, it’ll probably take more time than I expected for people to get used to the idea of bigger phones. 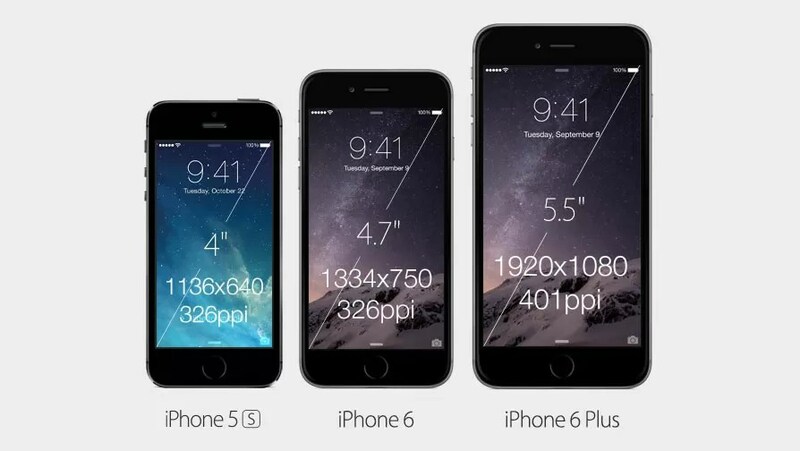 In Asia, and for those switching from Android to iPhone, my guess is the 6 Plus will dominate. Pre-order results support that even in the US, where 6 Plus has done better. Of course that could mean supply was more limited; IMO that will be the main factor holding the 6 Plus back. Finally, I don’t know why everyone keeps mentioning pockets, but my 5.5-inch phablet fits into all my pockets just fine. We are a firm from Hong Kong, we have developed a brand-new Lightning item, mainly for apple iphone and also iPad, Our iPhone Lightning can do both paying attention and also billing to songs, And it won’t affect the audio high quality of the music, Hearing the song while charging, Billing while enjoying TELEVISION, Play Games, Straight through interface, will not affect the video game. risk-free as well as stable, Secure existing and also fast charging, Little stature, Great knowledge.